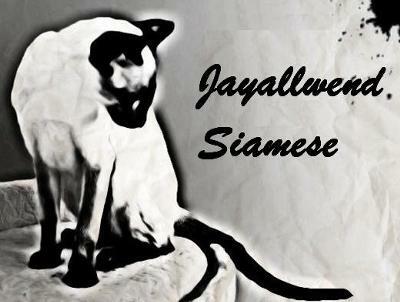 Jayallwend Siamese specialises in breeding pedigree Siamese and Oriental Ebony kittens. We are a small breeding cattery, located in Levin and Palmerston North, consisting of mother (Wendy) and daughter (Joni). We have been in business for more than forty years, breeding simply for the pleasure and enjoyment of doing so. Because of this we only have one or two litters available each year. We aim to produce good-tempered kittens that will be a lively addition to your family - friendly, courageous, mischievous, loyal and fun! We take great care to place our kittens in loving, responsible homes, our main aim being simply to find the right fit between you and your kitten to ensure the ongoing welfare of every kitten we breed. We are registered with the New Zealand Cat Fancy Inc.